What does a “real woman” look like? All photos taken by Melanie Klein, May 6, 2010, as part of a dual-part class project. 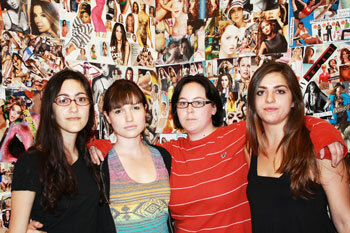 The body collage and photo-shoot allowed students to compare and contrast manufactured images of beauty and authentic representations of beauty. 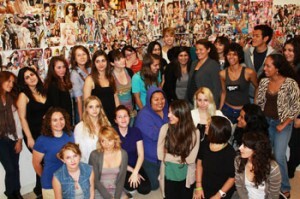 Body collages were taped from floor to ceiling to allow students to “feel” the onslaught of one-dimensional images and place themselves in front of the mass illusion disseminated via the mass media and remind themselves that “this is what a real woman looks like.” Body image film to follow.